Please note: This event has been moved from the Turf Club, which has been closed temporarily. Wine and beer are available for purchase in the History Center’s Cafe Minnesota. A few years ago, Minneapolis tattoo artist Awen Briem and I gave a joint talk on Memorial Tattoos. In fact, you can read all about Memorial Tattoos here on the Death Reference Desk. Meg, Kim, and I have been fielding questions about the ins and outs of these tattoos since day one of Death Ref. On January 11, 2011, Awen and I will be together again to discuss tattooing. This particular talk will be in St. Paul, MN at the world famous Minnesota Historical Society. We will be discussing the broader history of human tattooing, with special attention paid to memorial tattoos. The talk is sponsored by the Minnesota Historical Society and a big high-five to the MNHS for organizing a series called the History of Hip. A complete description of the tattoo talk is below. And you can read all about Awen at her tattoo studio’s website Art With A Point. 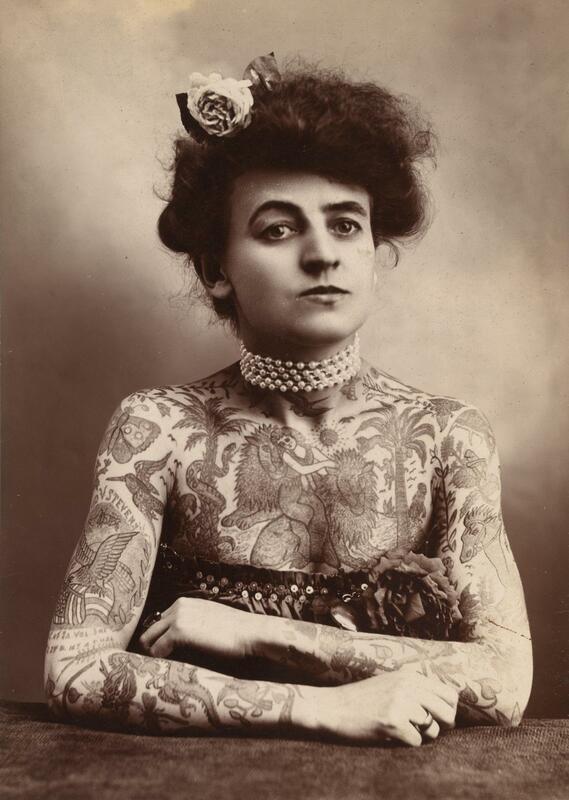 Never just the domain of sailors and outlaws, tattoos have a rich and storied history. From Pacific Islanders to American hipsters, body art has long been a popular form of self expression with many layers of meaning. Dr. John Troyer will discuss the history of human tattooing, as well as some of the key traditions associated with the practice. Tattoo artist Awen Briem will weigh in on tattoo customs and share thoughts on memorable designs and clients she’s worked with at her studio, Art With A Point. History of Hip explores the mysterious factors that confer hipness on an artist or a fad, and trace the origins of creative genres that still register with artists, audiences, and tastemakers today. Snacks provided. Posted by John in Death + Popular Culture, Monuments + Memorials and tagged lecture, memorial tattoos. Bookmark the permalink.